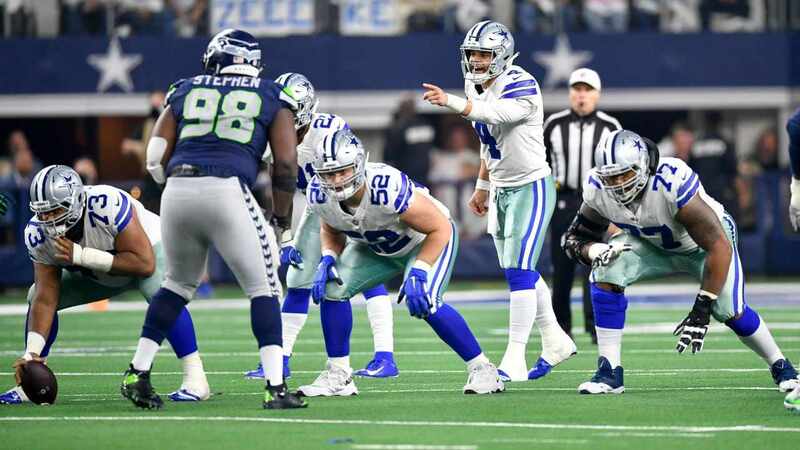 The Dallas Cowboys defensive line, expecting to add Defensive Tackle David Irving back into the rotation this week, faces a favorable match up against a Houston Texans offense that's allowed 17 sacks this season. 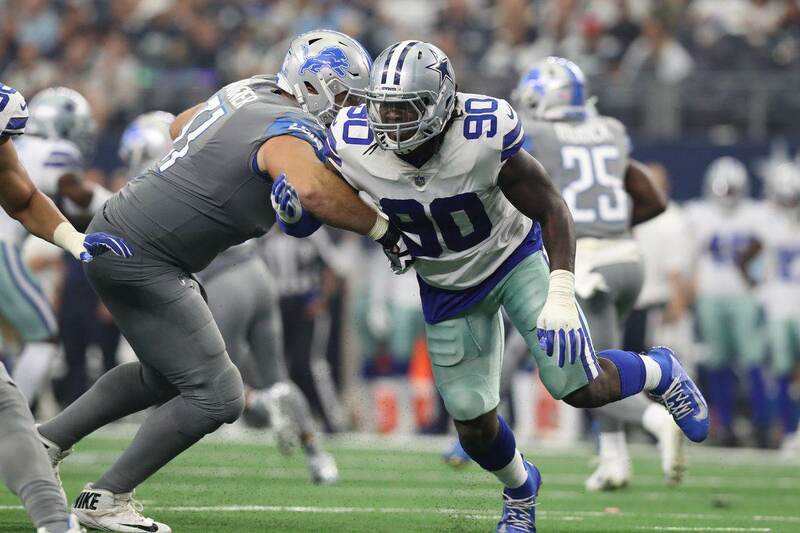 Second only to Buffalo, the Cowboys will be relying on their defense once again on Sunday night, led by DeMarcus Lawrence at left defensive end. Lawrence's 5.5 sacks through four games leads the NFL, as the Cowboys franchise-tagged pass rusher has picked up where he left off from a 14.5 sack performance in 2017. Ahead of a pivotal game for the 2-2 Cowboys in prime time against 1-3 Houston, now felt like a great time to break down Lawrence's effectiveness getting to the quarterback this season. Lawrence has been masterful in his own technique as always, but so too has been the execution from veteran Tyrone Crawford alongside him. 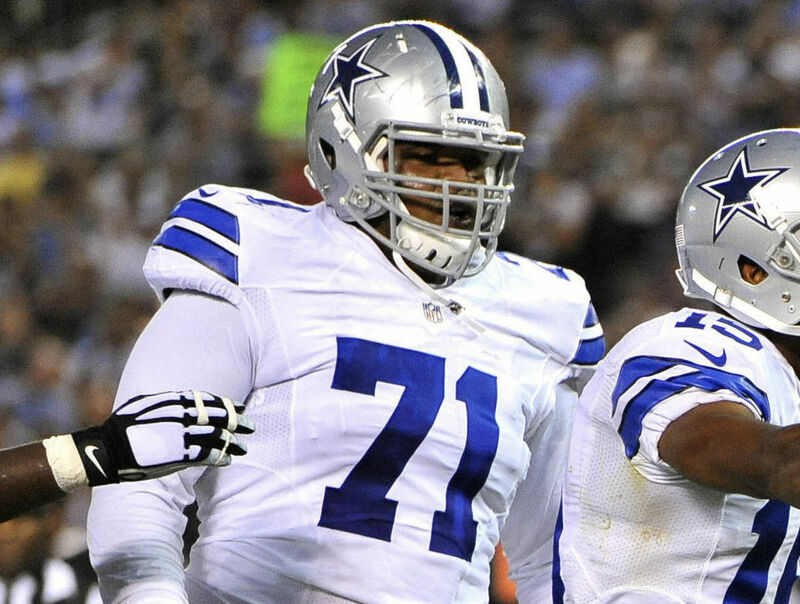 Lining up at the 3T-DT position despite preparing to play DE this season, Crawford has played with great quickness and burst to make the Cowboys twist game a staple up front. Getting to Cam Newton here in the Cowboys season opener, watch as Crawford knocks the right guard off-balance almost instantly before executing this T/E stunt to the outside. While the right tackle does a good job dealing first with Lawrence and then Crawford, it doesn't take long for Tank to make quick work of the guard and power his way into Newton. Lawerence's commitment to rushing with power to the inside has taken his game to an elite level, making him one of the most unpredictable rushers in the league thanks to his added edge ability - seen in the next clip against the Lions. Lawrence was able to get to Matthew Stafford three times in the Cowboys most recent win, doing so cleanly here with a win off the corner. Catching the right tackle leaning to the outside just slightly, Lawrence takes advantage off the line to capture the edge while chopping his blocker's hands to finish the rush. Notice the tackle's hand placement up high on the shoulder of Lawrence as he bends the corner, allowing him to continue directly into the path of Stafford. Defeating blocks in this way has become a signature of Lawrence's game, and his closing speed to finish around the quarterback is yet another thing he does at an incredibly high level. This next sack of Stafford is a fantastic effort from Lawrence. Again attacking the right guard with Crawford twisting to the outside, the Lions OL does a much better job handling this action. Once the guard is able to disengage from Crawford, he's in good position to deal with a charging Lawrence. What Tank does so well here is recognize this early as he cuts to the inside, knowing immediately how he wants to attack the guard. Setting him up further to the inside, Lawrence again uses his chop move to disengage and counter back to the inside. The speed at which Lawrence executes this move gives him as clear of a path as he'll have to any QB. Coming out of it with his usual balance and burst, Lawrence is on top of Stafford before the Lions' right guard has even turned around from off the turf. Here is another win from Lawrence off the strong side edge. Though he's forced behind the pocket further than he'd like, Lawrence never gives up on his rush to get back to Stafford. His ability to record a third sack in this game is really set up by the slight diversion of his path around the corner. By turning just slightly towards the inside on this arc, Lawrence gains leverage once engaging the tackle. Forcing the blocker's hands to his inside shoulder again, Lawrence is free to rip under the block and chase down another sack. It's not just the Cowboys secondary that's benefited from the addition of Passing Game Coordinator Kris Richard. Leading a more aggressive, blitzing defense, it's Anthony Brown from his cornerback position that helps Lawrence get to Eli Manning here. Running the same twist with Crawford, Lawrence catches the guard preoccupied with Tyrone as Saquon Barkley sprints to pickup Brown crashing on the blitz. This was Lawrence's cleanest sack of the season, and a shot you'll never see him miss. Last but surely not least, here is Lawrence's sack of Russell Wilson in Seattle. The Seahawks did a good job managing the Cowboys pass rush despite their OL issues in this game by balancing their rushing attack. On this occasion though, Lawrence is left to running back Mike Davis lined up tight. All Davis manages to do is push Lawrence across the face of the right tackle, who's left in terrible position to deal with him shooting the gap. Doing so while managing to "pick through the trash", Lawrence arrives with a blitzing Sean Lee to sack Wilson. When the Cowboys used the franchise tag on DeMarcus Lawrence this offseason, they wanted him to prove he can string together consecutive dominant seasons at defensive end. Four games hardly makes a season for Lawrence, but it's been so far so good for all of the "Hot Boyz" as Lawrence leads the way with 5.5 sacks. The battle for the Governor's Cup on Sunday Night Football is likely to be decided in the trenches. 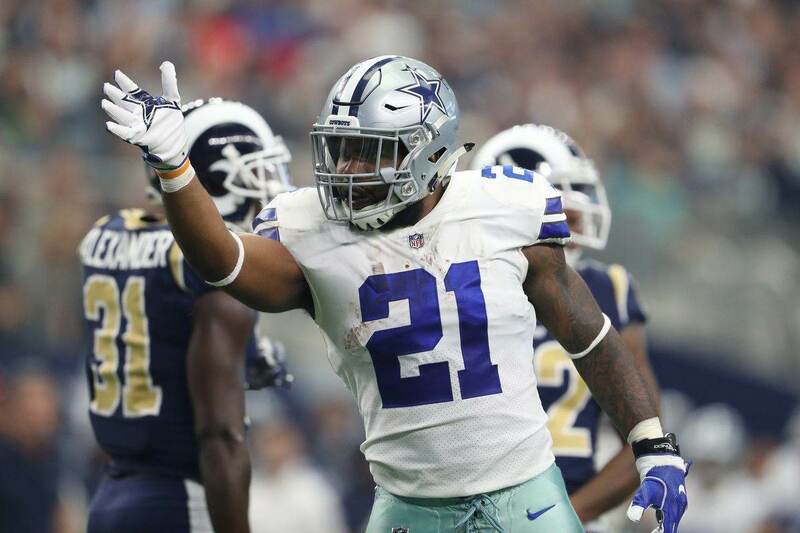 The Texans may have household names in J.J. Watt and Jadeveon Clowney, but the Cowboys will rightfully take Lawerence's level of play over anyone right now - needing him to be a disruptive force against Deshaun Watson. Tell us what you think about "Breaking Down DeMarcus Lawrence’s League High 5.5 Sacks Through Week 4" in the comments below. You can also email me at Sean.Martin@InsideTheStar.com, or Tweet to me at @SeanMartinNFL!